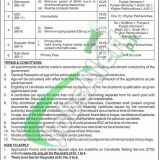 Government of Pakistan Ministry of Overseas Pakistani and HRD Jobs 2019 CTS Application Form Download is related to a reputed Federal Government department which is working for the rights of overseas Pakistani Nationals and Ministry of Overseas Jobs are known to be the Federal Government and job seekers always rush towards this department for the sake of jobs because it offers handsome salaries and other fringe benefits as compared to other Government Departments. Now current Ministry of Overseas Pakistanis Jobs are available for which applications are invited from the Graduation/Intermediate/Matric/Middle/Primary pass candidates for the positions such as (Assistant, Stenotypist, UDC, LDC, Despatch Rider, Naib Qasid). It is the finest opportunities for those who are educated or not well educated and also don’t have any professional diploma. So, viewers take advantage from this opportunity and apply as soon as possible to have a job in such type of reputed Government Department and make your future successful because here you’ll not only get handsome salary also they will get retirement funds too when their service will be expired. So, now let’s jump towards how to apply procedure given below. Application Form along with a paid deposit slip of test fee and recent photograph should reach the following address given below. For Sr. No. 5 & 6 applicants are required to submit applications to Ministry of Overseas Pakistanis and HRD, Mezzanine Floor, Shaheed-e-Millat Secretariat, Islamabad. Last Date for submission of application is April 29, 2019. A candidate can apply for more than one post by submitting the separate form for each post with a separate fee. Incomplete applications as well as received after due date shall not be entertained. Applicants already in Government service should produce NOC at time of interview. Only shortlisted candidates will be called for test/interview and no TA/DA shall be paid for the purpose. For more Government Jobs please visit our site JobsAlert.pk. Address to Apply for Sr. No. 1 to 4: Candidates Testing Service Office No. 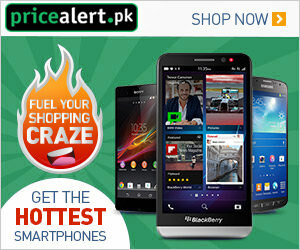 06, 2nd Floor, United Plaza, 96-E, Blue Area, Islamabad.